Nikonians Academy Director Mike Hagen revealed plans (last week) to add the newest Nikon Digital Single-Lens Reflex (DSLR) cameras to the workshop schedule. Mike's latest update adds Lightroom 4 and Profoto lighting products to the slate. We are always developing new workshops at the Nikonians Academy while working hard to stay in front of the digital technology curve. Over the next few weeks, we'll be unveiling new workshops for the Nikon D800/D800E and the Nikon D4 camera systems. The Academy is already preparing new course content for these cameras scheduled to go live in April. We have also begun our transition to Lightroom 4 training. Currently, our workshop series on Lightroom 3 is extremely popular and our Lightroom 4 workshops will begin as soon as Adobe releases the final public version. 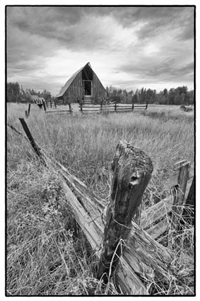 You can get a peek at the latest version in a series of videos from Adobe featuring Lightroom 4 beta. 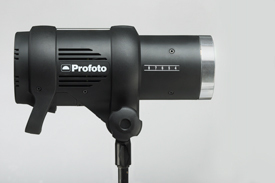 We've also just signed a great partnership with Profoto to supply lighting equipment for a new studio lighting series that we'll run all around the USA. This workshop will incorporate the use of Profoto's high-end D1 Air strobes and ProTungsten Air mono-lights. We are excited to bring you these new workshops and we know they will be a valuable learning resource for you. Our ambitious Master Your Gear workshop schedule for March and April begins next week with classes all around North America. There are only a few seats remaining for my workshops next week in Los Angeles, so don't delay in signing up. Winston Hall is in Texas running workshops in Dallas (March 8-11) and Austin (March 15-18) while Steve Simon is in Canada, running workshops in Toronto (March 15-18) and Montreal (March 22-25). April brings Winston Hall to Denver, Colorado (April 4-7). 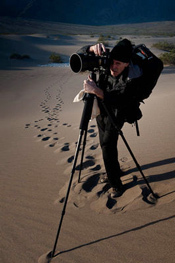 If you've ever wanted to explore the outdoor world with your camera, then come along with one of our Nikonians instructors to wild places around the world. Our nature and destination workshops are some of the best in the business. We always keep a low teacher-to-student ratio so we are able to maximize your experience. Making your photographic adventure a trip of a lifetime is our priority and we do everything possible to get you to the right locations at the right time. Join us to destinations such as Moab UT (May 7-10), Yosemite CA (May 24-27), Yellowstone WY (June 2-4), Grand Teton (June 6-9), Giant Redwoods (June 21-24), Alaska Wildlife (July 22-28), Eastern Sierra (August 9-11), Monument Valley (September 10-13), Moab UT (September 18-21), Yellowstone Wildlife (September 29-October 2), Grand Teton Wildlife (October 3-6), Albuquerque Balloon Festival (October 8-12), Acadia NP (October 18-21), and Tanzania African Safari (November 4-15). One of our newest workshops called Urban Photography is hosted by Nikonians Photo Professor podcaster Rick Hulbert. Rick is a professional architect and master photographer who has combined his two passions into a four-day workshop that aims to teach attendees how to become expert urban photographers. Rick covers everything you need to know to create jaw-dropping urban images. Our first two Urban Photography workshops are scheduled for Seattle, WA (April 12-15) and Toronto, ON (May 3-6). Being a Nikon Professional has its advantages, besides shooting with great equipment (Nikon), you sometimes get to see products before they are available on the market. Today I was at Nikon NL to preview the new Nikon flagships, the D4, D800, and D800E. Together with a presentation listing the highlights of these new cameras and their underlying technique, I was able to actually play with them. Very exiting and quite unique as these previews are only available to a select group of Nikon professionals. What makes the event even more unique is the fact that I was holding the only D4, D800 and D800E cameras in the Netherlands! The rest of the report can be found on my own blog page. 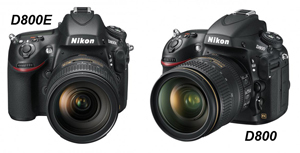 Nikonians Academy Director Mike Hagen tells us the staff is adding newest Nikon DSLR’s to their workshop schedule. Nikon D4 and D800 owners - we've totally revamped our Master the D700/D3 workshops to include the Nikon D4 and D800/D800E cameras. 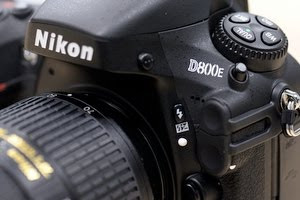 We'll be running D800 and D4 workshops as soon as the cameras are released to the public, probably in April, 2012. We're getting down to the last chance to purchase workshops in Los Angeles, Dallas, Austin, Toronto, Montreal and Denver. Winston Hall, Steve Simon and Mike Hagen are running workshops on the D7000, D90, D80, D700, D3, D3s, D3x, Adobe Lightroom, Nikon CLS and the Passionate Photographer throughout North America in March and April. March, April and May kick off our destination workshop series that includes trips such as Death Valley in the Spring, Urban Photography in Seattle and Toronto, Big Sur: From the Coast to the Canyons, Moab Utah Photo Adventure and Yosemite: Spring Waterfalls and Spring Blooms. Join us to learn nature photography and urban photography from our instructors Winston Hall, Rick Hulbert and Michael Mariant. 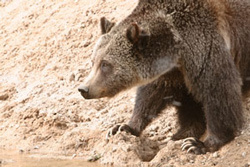 Our spring and summer workshop series is also full of outdoor adventures including our top-notch wildlife adventure trips to Yellowstone and Grand Teton National Parks with Jim Stamates. 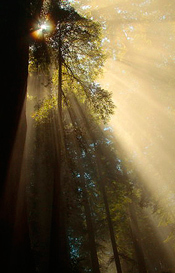 If you are interested in photographing the Giant Redwoods of California, then join expert Michael Mariant in June for this amazing trip through a primeval landscape. Our Alaska wildlife photo adventure begins on July 22nd and is an incredible trip for photographing whales, bears and ice fields. 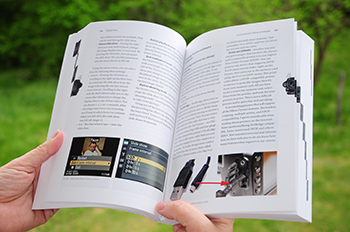 Get your digital photography magazine for free - valid for new Gold & Platinum members. If you are holding off your decision on attending the Nikonians Academy Death Valley workshop next month, then don't wait much longer. Our Death Valley workshop leader Michael Mariant tells us that the only hotel in the area is completely booked during that timeframe, except for our block of room reservations which expire on February 29th. February is a popular time of year to photograph Death Valley and Michael knows how to get you to the right spots at the right times. Read more about the new cut-off date in our forums. 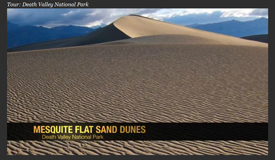 Click Here to Watch the Death Valley Virtual Video Tour. "One surprising aspect of these travel/landscape photography workshops for nearly all attendees is the level of education provided. 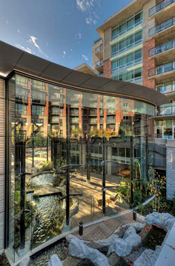 There is a comprehensive photographic curriculum integrated into the workshop, with each location providing an exercise in technique and application. This workshop focuses not only on the 'where' to take the pictures, but also on the 'how' to take pictures, incorporating that photographic education at each location, building on the previous location?s techniques and lessons to culminate in a comprehensive class in composition, modified exposure, light controls, and High Dynamic Range (HDR) photography to name just a few." Our Nikonians Academy instructor team has an incredibly busy March/April schedule. We are running workshops in Los Angeles, Dallas, Austin, Toronto, Montreal, Death Valley, Denver, Big Sur and Seattle. Our topics range from our one-day Master series workshops to landscape photography to urban photography. Speaking of urban photography, our newest workshop posting is titled Urban Photography: How to photograph built environments including architecture and other places for people. These workshops, run by architect and master photographer Rick Hulbert, are designed to show you how to create stunning works of art in urban environments. 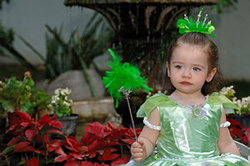 Rick is well known for his humorous approach to teaching and his excellent photographic style. We encourage you to sign up for either the Seattle, Washington dates (April 12 - 15) or the Toronto, Ontario dates (May 3 - 6). You will discover how to better frame and crop architectural and urban images using the long established basic principles of portrait, wedding, and event photography. By the way, if you are a wedding or event photographer, this workshop will take your photography up a notch as well. There is no requirement for fancy equipment. Any and every brand of camera will work, so we strongly encourage participants with Canon, Pentax, Sony and other camera brands to attend. The principles taught will also apply to point and shoot cameras, new mirrorless cameras and even camera phones. We’re serious! Bring your iPhone or Android and see what you can create! Our outdoor and travel workshops are actively booking and we have adventures to some of the best nature photography locations on the planet. Death Valley, Big Sur, Moab, Yosemite, Yellowstone, Grand Teton, Giant Redwoods, Alaska, Eastern Sierra, Page, Albuquerque, Acadia and Tanzania. Join us on one of our destination workshops for an intense photo adventure organized by photographers for photographers. You'll enjoy these trips regardless of your photo experience or your photo gear. Bring what you have and you'll go home a far-better photographer. Our friends at Rocky Nook publishing have arranged a "back to basics" conference and workshops series coming to California, USA this summer. The two-day photoact 2012 comes to Santa Barbara August 24-25 and it offers attendees the opportunity to select their areas of interest in the art, craft, and technology of photography. "After a decade of major advances in technology, I believe there is a need to shift the focus back to the artistic aspects of image creation, to the essence of seeing and personal expression, and to the fundamental precepts of photography as a craft." The photoact 2012 conference and workshop format is designed to offer your choice of three tracks (Art-Craft-Technology) featuring some of the world's leading photographers and educators. You choose your areas of interest and time schedule to meet your creative and budget friendly goals. While you are checking out your reservation options, don't forget to compare savings offered in the early bird options (before June 1, 2012). Photoact 2012 is hosted by Rocky Nook, c’t Digital Photography, and SeenBy.com. Nikon's long rumored megapixel abundant full frame DSLR has come out of hiding. Our members are going through the features and specs just released and weighing in with their reactions. Our friends at the Ask Berger Bros. Camera forum are taking preorders. Photo Professors Episode 2: The Photo Professors touch on a conference covering the business of photography and then they reinterpret a famous quote from Ansel Adams. Length of the podcast is 52:54. Tamron has announced a new standard zoom lens designed for full frame DSLR's combining high speed in a lighweight bundle (plus vibration reduction). 1. A full-size, high-speed standard zoom with built-in VC ( Vibration Compensation). Even when shooting in low-light conditions with a slow shutter speed to render sharpness, Tamron’s acclaimed VC allows for stable handheld camera work, to more fully enjoy the benefits of this high-speed zoom lens. 2. 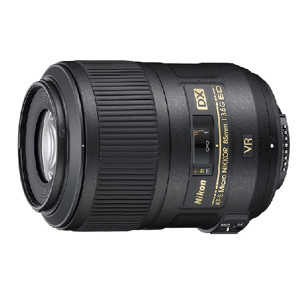 Uses special high-grade glass in the three LD elements, three glass molded aspherical lenses, one hybrid aspherical lens and two XR (Extra Refractive Index) glasses, delivering top-of-the-class quality images suited to this high-grade lens. Using a rounded diaphragm, the lens achieves gorgeous blur effects. This rounded diaphragm retains a nearly circular shape even when taken two stops down from its fully open state. 3. Features Tamron proprietary USD ( Ultrasonic Silent Drive) to power a speedy AF drive together with a continuous manual mechanism. 4. 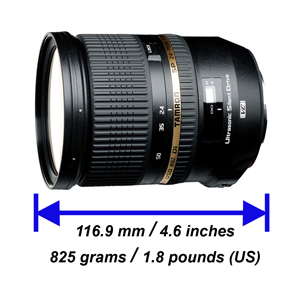 This high-speed standard zoom lens has a wide-end focal length of 24mm that expands the photographic area. 5. The lens adopts the new technology including the latest optical design, VC ( Vibration Compensation) image stabilization and USD ( Ultrasonic Silent Drive), all in a lighter and more compact package. 6. Moisture-resistant construction helps prevent water from penetrating the lens. One Model Place is an online community for models, photographers and creative talents with almost 200,000 active members. 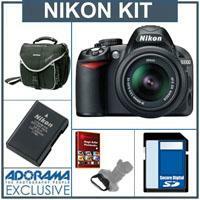 They have recently arranged to provide a 30% discount to our Nikonians members. OMP provides models, photographers, casting agents, and clients access to the most diverse talent pool the world has ever seen. One Model Place serves the modeling, photography, and associated industries by offering the opportunity to create and maintain a powerful online presence regardless of a user's technical skills, geographic location or experience. They provide models, photographers, casting agents, and clients access to the most diverse talent pool that the world has ever seen. If you are searching for a valuable resource to advance your career, our current 30% Nikonians discount with OMP will benefit you! Our friends at Think Tank Photo have supplied us with a Speed Racer V2.0 hybrid shoulder bag/belt pack as a prize for the psychic Nikonian who already knows the winning team and score of the 2012 Super Bowl. Super Bowl Surprise Challenge/Contest details are available in our English Cafe, and all Nikonians -- worldwide -- (except one) are eligible to enter. Nikonians online photo assignments leader Rob Migliaccio (rmigliaccio) of Rhode Island, USA has posted one of his most challenging assignments to date. Can you come up with a Nikon product image good enough to gain the attention of their advertising team? "You've been hired by Nikon to come up with a unique, never-before-seen photo for use in an advertisement for any Nikon product on the market. The image must have the product in it - whether it be a camera, lens, flash or otherwise. This assignment is intended to be fun, while at the same time, having a serious component to it. You need to stoke your ingenuity. Be imaginative. 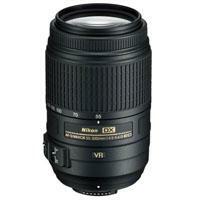 Who knows, maybe the folks at Nikon will take notice." There are no other restrictions except that your image(s) must have a Nikon product as its subject and be taken during the month of February, 2012. Full details are available in Rob's assignment post. March is a big month for the Nikonians Academy with photo workshops all around North America. Academy Director Mike Hagen kicks the month off with workshops in Los Angeles at Samy's Camera near Hollywood March 1-4. Apple has released an update to the Lion Operating System that reads the new Nikon Series 1 camera RAW files. Is technology better than technique? "Having a camera makes you no more a photographer than having a hammer and some nails makes you a carpenter" - this quote from Claude Adams, who is except some other things a freelancer, journalist and documentary film maker, so he apparently knows what he is talking about, could change your approach to the photography. Let's be honest here, photography is quite expensive hobby to have and probably nobody except your wife would believe you that buying an already quite expensive DSLR body, let's not mention the lens, will be your final photography related expense. Of course not, and for those of you who still believe it will, I have to tell you something. No, it won't... But if you gonna spend your hard earn cash, you had better think twice where you gonna spend it. What will make you a better photographer? Or shall we say for the start, what will make you a photographer? You can choose from two ways to start "improving" your skills. Firstly, you can blame everything on "it's only an entry level camera", or "my lens is way to crappy for that", but "if I'd have a proper gear" your pictures would be hanged in Tate Modern at least. OK, so if you'd spend another £3.000 for pro body and some decent glass your pictures will improve rapidly. Yes they will and no they won't. Or secondly, you can blame the poor quality of your pictures on that piece between the viewfinder and the ground. Yes, you can invest into something more worthy and you don't even need to worry about depreciation. You can invest it into yourself by taking the course where someone more experienced will explain you that "entry level" can do pretty amazing things. It'll be probably cheaper than upgrade and if you take a photography only as a hobby, you'll appreciate that and enjoy it even more. And if you'd like to turn pro, thanks to this your photography will make you the money required for an upgrade. I'll take myself as an example. I had an entry level camera with set lens and my pictures were crap. Yes, I blamed the camera first. But than I realised it might not be the issue. I took a course and surprise surprise, my pictures started to be better. Definitely not good, but I could see the improvement myself even though I am quite critical to my work. It had cost me quite close the budget above, but I wouldn't be as far as I'm now, even if I would spend it on the best ever camera. It didn't show me what to do, but it showed me what can be done and that made me think. And it made me work. The enthusiasm of the classmates pushed me even further. So my "only entry level" camera won me a landscape competition in UK and got me into the gallery. I didn't think that is possible before, definitely not without pro gear. Shooting pictures for the magazine with entry level? Why not! Everything is possible. Let's not forget the evolution of the digital cameras. 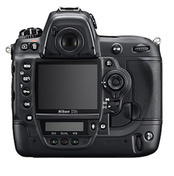 Only 10 years old pro camera Nikon D2X has 12.1 MP cropped sensor, what is not even in entry level field nowdays. So pretty much everybody has got the tool which pros had sometime ago. So next time if you'll think about spending money to make your photography better, mark the workshop at the top of your list. P510 - the updated flagship superzoom features an enormous 24-1000mm zoom (42x), a 5 frames per second burst shooting rate and integrated GPS to keep track of where your photos were taken. P310 - heavily based upon the previous P300, the new model retains the fast f1.8 (at wide) 24-100mm zoom range, a new 16MP CCD sensor and full 1080 video with stereo support. S9300 - the upper end travel camera has a 25-450mm zoom range and a collapsible lens design for convenient pocketability. Other models in the refresh include the S4300, S3300, S30, L810 and the L26. More details can be found at Nikon USA's Coolpix site.